Break out your Dr. Evil jokes, if you've got any left. Facebook just announced that it will be acquiring Instagram, the popular photo-sharing app and recent addition to the Play Store family, for a cool billion dollars. You read that right. With a "b". Billion. To answer all the critics who were wondering what's so cool about Instagram: a billion dollars. 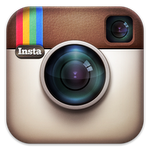 MENLO PARK, CALIF.—April 9, 2012—Facebook announced today that it has reached an agreement to acquire Instagram, a fun, popular photo-sharing app for mobile devices.